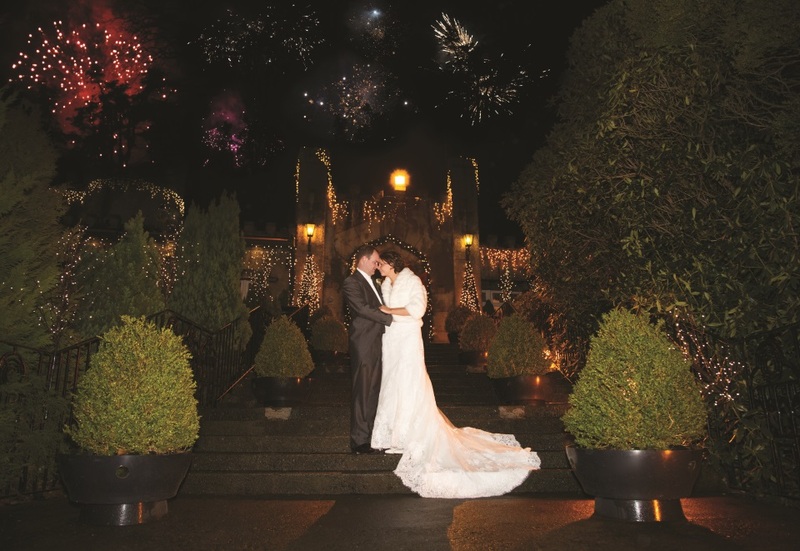 Married two days before Christmas, Amie and David’s wedding was a truly festive occasion with family and friends. 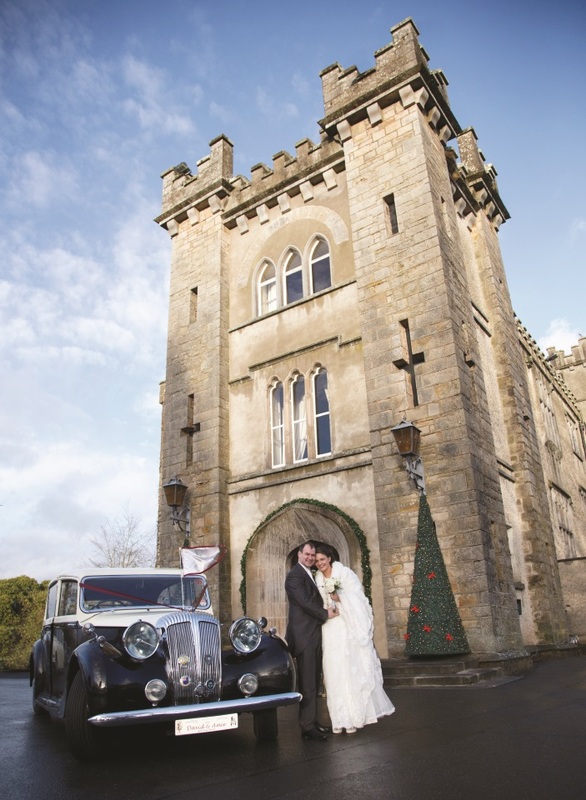 Meeting through mutual friends, it was clear from the start that Amie Boyd from Monaghan and David Arrell, proprietor of NI Wedding Cars, from Randalstown were meant to be together. When it came to making their relationship official, David took Amie back to the place they first met and surprised her with a proposal in which he presented her with a ring he designed and had made especially for the occasion. Amie was delighted with her stunning princess cut trio diamond ring with diamond set shoulders. Having chosen to get married during the holiday season, the theme was naturally festive in nature. Amie wanted a warm and cozy feeling to the day with a hint of Christmas everywhere, from the carefully arranged flowers and the cinnamon scented candles in the church, to the beautifully dressed bridesmaids who wore claret coloured dresses and faux fur shrugs. For the bride and groom, the most memorable moment to their wedding day, on 23rd December 2013, was standing together at the top of the aisle after having signed the register and looking down at all their family and friends. After a wonderful winter wedding, Mr and Mrs Arrell enjoyed a luxurious honeymoon in Mexico followed by a four-night cruise in the Bahamas. Amie’s advice to future brides: Take a few minutes at different times throughout your wedding day and just stop to take it all in – it really does go by so quickly!